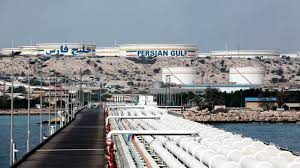 Do Persian Gulf Crises Make Oil Prices Go Up? Actually, Prices Go Down. Conventional wisdom says that when tensions rise and war threatens in the Middle East, oil prices have to skyrocket. We’re seeing a little bit of that right now. Iran is confronting Israel in Gaza and Saudi Arabia in Yemen even as the U.S. confronts Iran with economic sanctions. Things will likely get a lot worse in the near future as the impact of sanctions starts to bite and Iran lurches into hyperinflation and social unrest, precursors to regime change. Right on cue, the price of oil has risen sharply lately. But, as this article explains, that price increase may be strictly temporary. History shows that when oil producers face geopolitical threats, they actually pump more oil, not less, in order to generate revenue to pay for lost trade and the costs of potential conflicts. This happened during the Iran-Iraq War in the mid-1980s when oil prices fell to $6 per barrel as Iran and Iraq pumped oil furiously to pay for the costs of their war. Oil also dropped during the U.S. liberation of Kuwait in 1991 and again during the U.S. invasion of Iraq in 2003. It seems that war is a good leading indicator of lower oil prices. Oil prices may still have further to rise in the short run, but history suggest that as tensions increase, the price of oil decreases. This time may be no different.